From Markham, north on Shackleford, turn left on Mara Lynn, turn right on Green Mountain, turn left into condos. 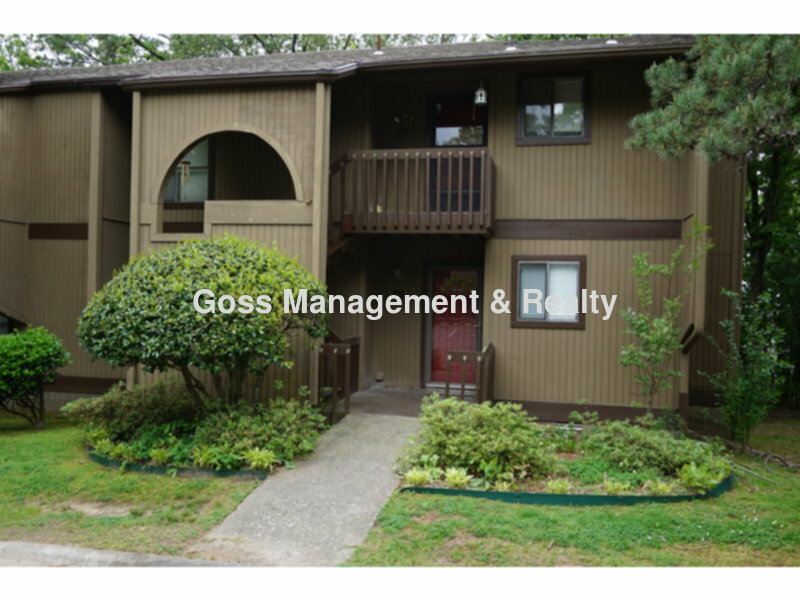 AVAILABLE NOW!This cozy two-bedroom downstairs condominium is located in west Little Rock in the Green Mountain Condos, near shopping and restaurants and with easy access to I-630 and I-430. It has a large living area with a wood-burning fireplace, two full bathrooms, and a fully furnished kitchen. There are ceiling fans, window coverings, and washer/dryer connections. There is a large deck outside the back door and a smaller deck on the side. The tenant has pool privileges, and pays electric only. One small pet may be allowed with owner approval, and this is a non-smoking property.